Our competition has raised a few questions on the Facebook group. Here are as many answers as possible. All in one neat and tidy list. Anyone at all. Absolutely anyone. 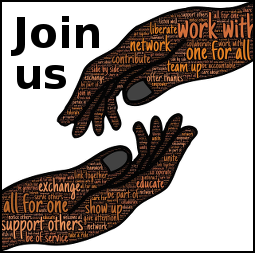 Charity members, group members, people who go to other groups, people that write, people that might like to write one day… Anyone who would like to can join in. I’m not from Thanet, can I join in? Yes, please do. Admittedly, when the theme is Thanet related you might need to do some homework but please don’t let that put you off. To enter the contest you need somewhere to post your entry. There are a lot of free sites that are ideal for this. By the end of the competition, you will have laid the foundations for a strong presence as a writer. I already have a blog, can I use that? Absolutely, yes. You will get the most out of this competition if the blog is wholly or mostly about you as a writer but feel free to use whatever you have. I don’t have a blog, where do I post my entries? There is a whole load of free services that you can use. They all count but some are easier to use than others. Do I have to write for all 12 themes? Not if you do not want to. Although you will get the most mileage out of this competition by making an attempt at all 12. Each week is a sperate contest so there is no commitment to take part every week. Do I have to comment on other people’s entries? Of course not, however, this contest is all about building a sense of community and by giving a little love to others you will be more likely to receive love back. Love, in this context, being helpful feedback and nice comments. Can I post a video instead of writing my entry? Yes, if you want to. A video can be a great part of an authorial presence. I recommend posting a transcript if you can but you don’t have to. Do I have to link to Thanet Creative Writers? Linking is not an obligation as such but it does make it more likely that your platform will ping us to let us know about the post. A link also explains to your readers what you are doing and why you are writing for that topic which saves you from having to explain each week. I’ve just made a WordPress blog for the contest, can I post other things too? Absolutely, yes. The idea of this contest is that you get to build up a presence. If you have additional ideas then you should run with them. Can’t I just post to my Facebook page (or my wall)? You could and I will probably see it, but you will miss out on establishing a wider reach that owning your own content space provides. It is not very hard to set up a free blog or content space and publishers look for writers with an established presence so this should help you down the line. I chose a platform that doesn’t ping, how do I make sure you see my entry? Don’t panic. If you are not sure I have seen your entry at judging time, you can always share a link in the Facebook group or use the contact form to give us a heads up. Winners get what everyone else gets – the joy of writing with the added benefit of building something to help you find a publisher down the line. Winners also get bragging rights, a prominent link, and probably everyone (or at least a lot of people) taking a look at their work to see what was so great about it. When all 12 themes have had their winners announced I will explain how we are going to vote for an overall winning post. More on that later. Do I have to keep my blog going after the competition? That is up to you. Even if you post something once a month until the next contest you may find that having a creative outlet like that helps you stay focused on writing. Try it and see how it works out for you. If you have any more questions, please do feel free to ask. I will do my best to answer them all. Bonus question: Can my entry be in the form or poetry or fiction? Bonus answer: Yes it can. The aim is to write and share that writing. If you are happier with verse or with fiction then go with that.